It used to be that you'd have to give up on comfort if you wanted a high-performance boot, but those days are gone thanks to the Apex XP Ski Boot. Built using Apex's proprietary Open Chassis™ architecture you get powerful support you can count on thanks to the carbon fiber reinforced shell that locks around a more flexible Walkable Boot inside. And it's that Walkable Boot that makes the real difference, it's lighter and more flexible than a traditional ski boot giving you more comfort when not on your skis, and the VIbram® ICETREK Outsole means it has powerful traction for earning your turns too. "What is the exact weight of each boot?" 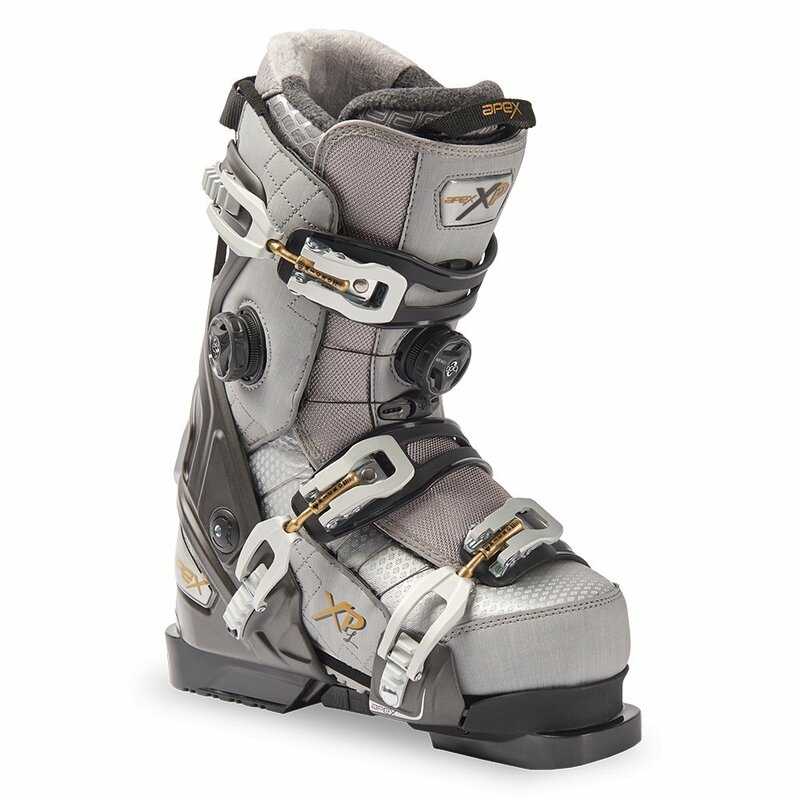 "The Apex XP Ski Boot in a Women's size 25 (US size 8) has a weight of 4.75 lbs per boot or 9.5 lbs for the pair. Hope this information helps!"